Yes, within Europe and USA. For the rest of the world it is a shipping fee. Please note that tax (VAT) is included in all prices in the shop. Possible custom fees are however not included and is always payed by the customer. LightAir cannot be held responsible for any VAT or customs matters. Who is responsible for the taxes and custom fees? Tax (VAT) is included in all prices in the shop. Possible custom fees are however not included and is always payed by the customer. LightAir cannot be held responsible for any legal VAT or customs matters. We ship to all countries except Iran, Brazil, Argentina, and North Korea due to problems with carriers and custom. When will I get my air purifier? Delivery time will normally be 5-8 business days within Europe and USA, but can be longer depending on destination. For the rest of the world it might take 5-15 business days depending on destination. Orders will be shipped within 48 hours of receipt (Mon-Fri). We ship from our warehouses in Stockholm, Sweden, and Portland, USA. How will I know if my air purifier has been shipped? As soon as we have sent out your order we will send you an email with the tracking number. It will be sent to the email adress you provided when placing the order. We will send you an email with the tracking number as soon as the order has been shipped. It will be sent to the email adress you provided when placing the order. How does the shipping process look like? Once you have completed the payment, an e-mail confirmation will be sent to your registered email. This will have your order number, complete order details and shipping address. Please save it for your records. Orders will be processed within 24 hours of receipt (Mon-Fri). LightAir ship from its warehouses in Stockholm, Sweden, and Portland, USA. Delivery time will normally be 5-8 business days, but can be longer depending on destination. We will send you an email with the tracking number as soon as the order has been shipped. EUROPE: LightAir ship your order door-door with UPS Parcel. The shipment goes with UPS standard/expedited. UPS will make two attempts to deliver your package. If you are not at home they will leave a note. Please be sure to contact them and schedule a delivery or a pick-up at a service point. If you miss the two delivery attempts the package will be left at a UPS Access Point for you to go and pick it up. If the package is returned to LightAir you will be debited another shipping fee to get the package delivered. USA: LightAir ship your order door-door with UPS, USPS or FedEx Ground. The carrier will make an attempt to deliver your package. If you are not at home they will leave a note. Please be sure to contact them and schedule a delivery or a pick-up at a service point. 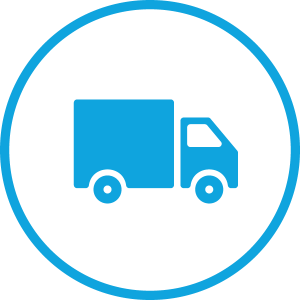 If the package is returned to LightAir you will be debited another shipping fee to get the package delivered. REST OF THE WORLD: LightAir ship your order door-door with UPS, USPS and FedEx. The carrier will make an attempt to deliver your package. If you are not at home they will leave a note. Please be sure to contact them and schedule a delivery or a pick-up at a service point. If the package is returned to LightAir you will be debited another shipping fee to get the package delivered. To provide you with the service of fast delivery we ship out as fast as possible. Once your order is placed, you might be able to change the order details or update your delivery address only if the order has not already been sent out. Email our Customer Support Team support@lightair.com or start the chat.